The Asian citrus psyllid remains a serious and dangerous pest of all types of citrus, says Joe Deviney, Santa Clara County Agricultural Commissioner. The tiny insect can carry the disease huanglongbing, also known as citrus greening. There is no cure for the disease; infected trees will produce bitter, misshapen fruit until the tree dies in as little as five years. While the pest has been seen in Santa Clara County and parts of Alameda County, huanglongbing disease, which has been found in only a few trees in the state, has not yet been seen here. 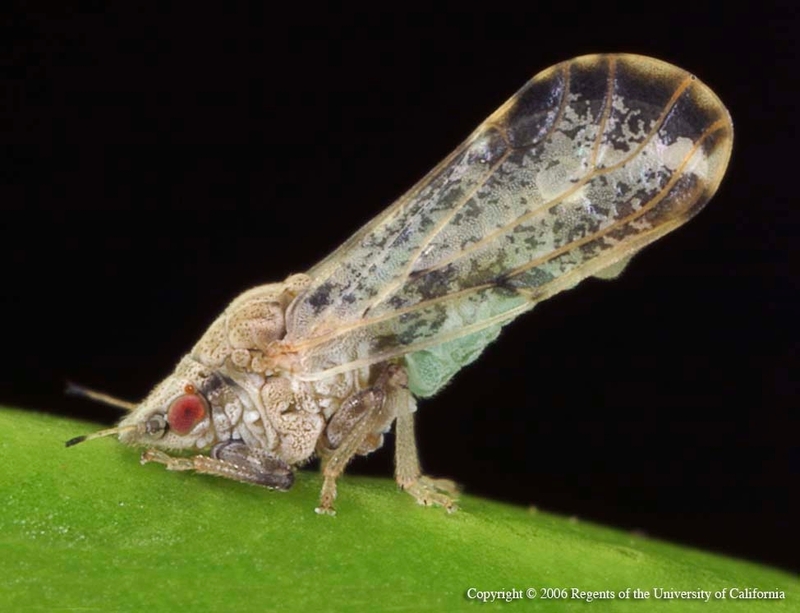 The only way to prevent huanglongbing is to guard against the psyllid. The psyllid is prevalent in Mexico and across parts of the Southern United States. In Florida, the pest was first detected in 1998, and citrus greening was discovered there just seven years later. Both the pest and the disease are now in all of Florida's citrus producing areas and have resulted in the loss of trees, produce, more than 6,000 jobs and $3.6 billion in economic activity. Psyllids, also known as jumping plant lice, are from the Psyllidae family and have been around for a long time. Psyllid fossils have been found from the Permian period, more than 250 million years ago. 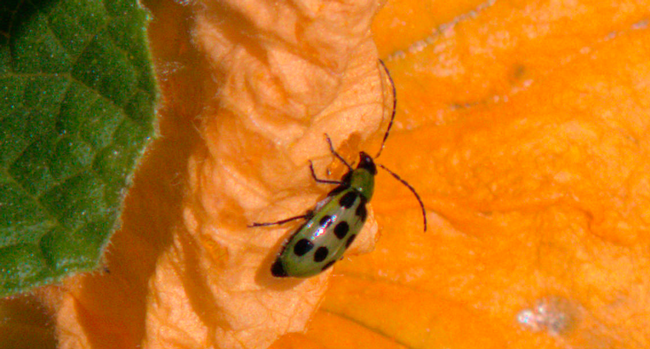 The psyllids generally feed on one species of plant, or closely related plants. The pest is a tiny brownish winged insect, about the size of an aphid. They not only feed on all varieties of citrus — orange, grapefruit, lemon, lime, kumquat and mandarin — but also attack Indian curry leaf, Chinese box orange, wampeii, orange jasmine and others. The pest is small, but easily identifiable thanks to its distinctive feeding habit. It eats with its body at a 45 degree angle with its head down and rear in the air. No other citrus pest feeds in this position. It also feeds on new leaf growth, causing young leaves to twist and curl, and prevents healthy new shoots from forming. The insect can spread huanglongbing by feeding on a diseased tree and then spreading the disease to other, healthy trees. Grafting using infected budwood can also spread the disease. To check for infestations, look for oblong, yellow orange eggs that are tucked inside new growth. Nymphs produce unique waxy, curly tubes with bulbs at the end. Adults are about 1/8-inch long and have a pointed front end with red eyes and short antennae. They can have greenish, yellow or orange abdomens, depending on what they have been feeding on. The Bay Area's first report was in San Jose in 2014; the most recent sighting was last month. Approximately 200 square miles of Santa Clara and Alameda counties fall in an Asian citrus psyllid quarantine zone. Although you can move fruit in and out of the quarantine zone, it must be free of all leaf and stem material. Be sure not to move any plant material outside of your zone, and if you are planting new plants or trees, make sure they are disease free by buying them from a reputable nursery. Check the quarantine boundary lines and if you think you have seen the pest or are experiencing citrus greening symptoms on your trees, call the California Department of Food and Agriculture's Pest Hotline at 1-800-491-1899. This article first appeared in the November 9 issue of the San Jose Mercury News.